Gone are the days when advertisers were relying only on the install volume in analyzing campaign performance. As the mobile programmatic marketing industry continues to mature and develop, engaging and retaining users with high lifetime value (LTV) has emerged as a more critical challenge. Many app marketers are experiencing high churn due to the quality of acquired users. But there are still a lot of users who stop engaging with or uninstall the app within a few days of installing it. Whether it’s because the users forgot about the app or no longer found the app to be useful, app marketers can now re-engage these users to re-install or start using their apps again through a retargeting campaign. What is Mobile App Retargeting? The mobile retargeting strategy aims to drive previous users of an app to become active app users again. Whether these users haven’t opened their app in a given period or have uninstalled the app, the goal is to reactivate these previously active users. As with user acquisition efforts, the key performance indicators (KPIs) that are measured to indicate the success of retargeting campaigns are cost-per-install (CPI), retention rates (RR), return on ad spend (ROAS), and return on investment (ROI). Aarki has run successful retargeting campaigns for a variety of app categories. 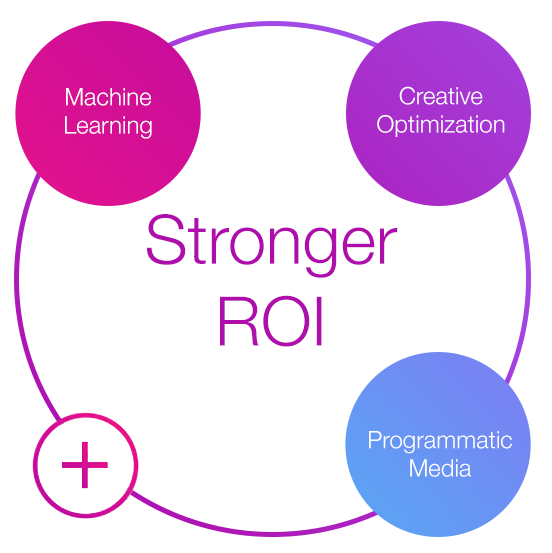 Our winning formula is simple; it is the combination of three cornerstones that drive performance at scale - machine learning, engaging creatives, and programmatic at scale. Machine Learning - Leveraging proprietary machine learning, Aarki’s data scientists conduct analyses of how the users engage with an ad and how their engagement correlates with their behavior in the app. This enables Aarki to consistently run ROAS optimized campaigns for successful reactivation. Engaging Creatives - Creative strategies include leveraging more creative types to increase match rates and utilizing audience attributes to inform creative. Aarki employs strategies like personalization and localization of creatives to increase ad engagement. Programmatic Scale - Using our integration with all of the major global exchanges for programmatic/RTB and our five global data centers, we are able to access a high-quality inventory for our clients’ campaigns. Aarki has run many retargeting campaigns utilizing a variety of ad formats, including native, video, interactive, playable, and interstitial. Leveraging a rich database of audience and user engagement data, Aarki’s data scientists use robust machine learning algorithms to find audiences who share similar interests and are most likely to engage and spend with the app. This enables Aarki to consistently deliver strong app marketing performance no matter the app marketer’s retargeting goals. Interested in running a retargeting campaign? Give it a try and see the results for yourself.